Hiking season doesn’t really end in California, it just gets a bit colder and some would say easier to schlep up those steep hills with a breeze blowing. 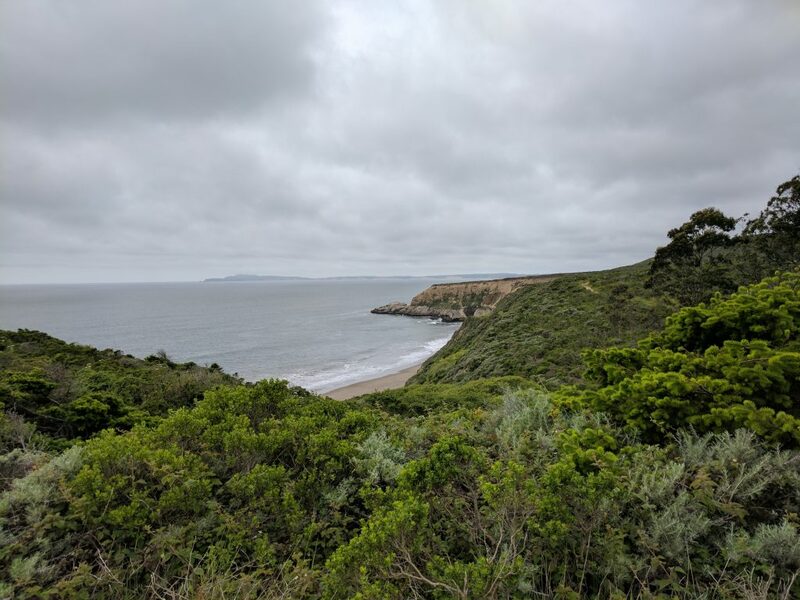 I’ve compiled a list of my favourite San Francisco-centric hikes that will give beautiful scenic views of the bay, the forest, the beach and so many different terrains in between. 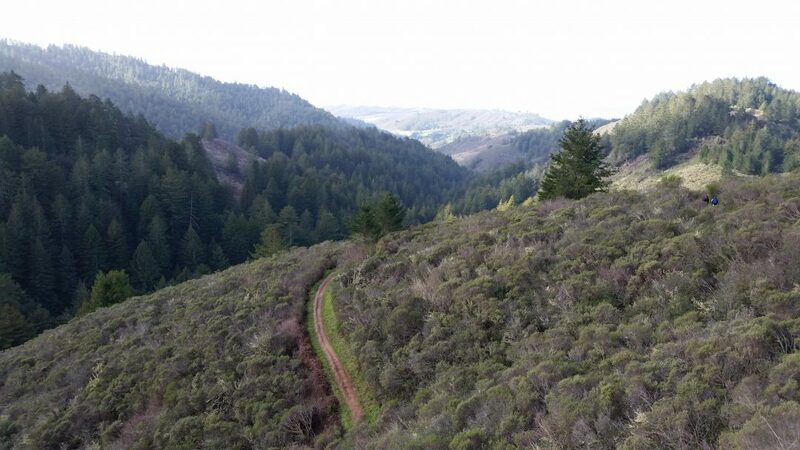 Basically, San Francisco is a trail runner’s dream come true, but hikers love it as well. I’m starting with the most difficult and working my way down. 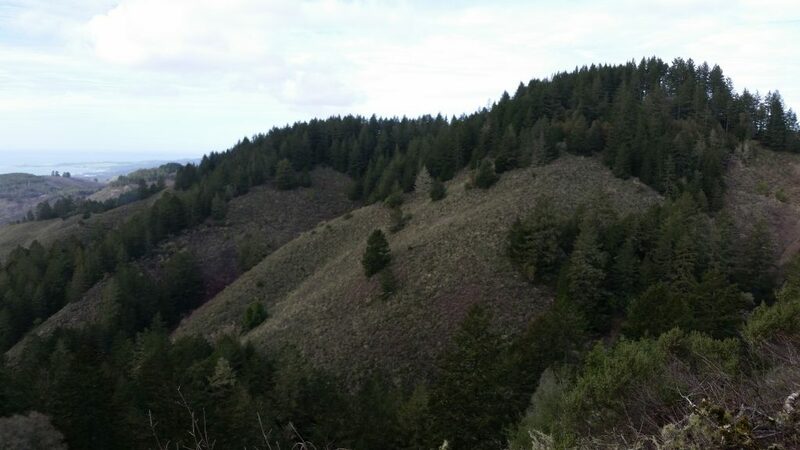 The Purisima Creek Trail is not for the feint of heart (or those with heart conditions). I can absolutely, positively guarantee that. Depending on where you park and enter, the trail is either 5km straight up, or 5km straight down. Followed by another 5km of the exact opposite. 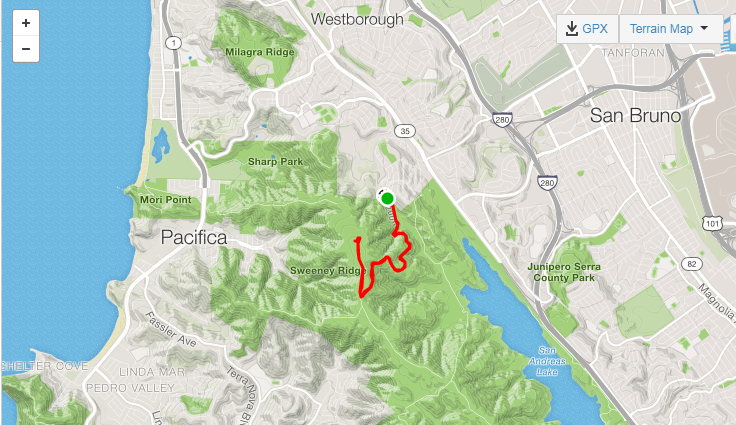 You can really see it in this handy Strava elevation map. There’s one part about 8.5km in that was basically straight up and an absolute killer. We made it in the end, having dragged ourselves 536 metres up. We (unknowingly) started with the downhill portion and had a ball racing down switchbacks. But in the back of your mind you know that what goes down must come back up. Especially when you’re car’s up there. So why should you put yourself through this torture? Because it’s beautiful rainforest, open plains, waterways and some good spots to stop for a picnic. While this hike offers spectacular views of the San Andreas Lake on clear days, there’s also a historical aspect of the Sneath Lane Trail. During the Cold War, the US army built Nike missile firing batteries (basically anti-aircraft missiles) to protect against Soviet air strikes. These are dotted along the California coast, and include SF-51, the Nike missile sites in Pacifica. Even though the batteries were stripped after the Cold War, the buildings still remain in varying states of disrepair and are a draw card for graffiti artists. Keep in mind that the Sneath Lane Trail climbs 387 metres up before flattening out and leading you to the missile sites. So be prepared for a meandering climb on mountain sides to get there. 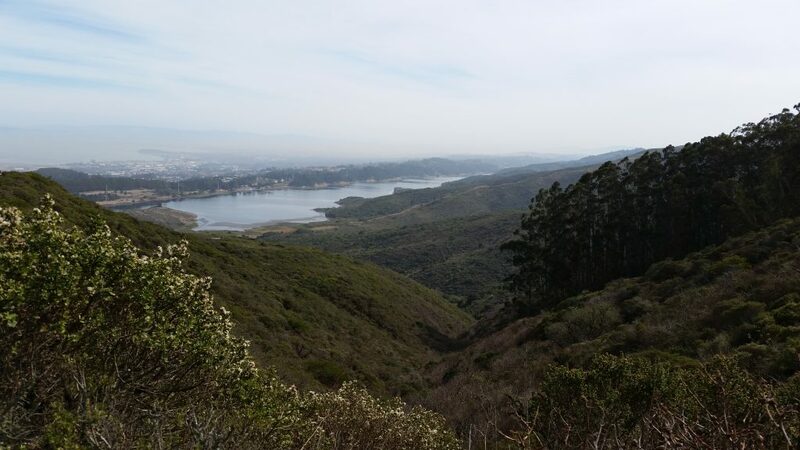 Once you’re up though, there are views of water in both directions – behind you is San Andreas Lake, and in front of you lays Pacifica State Beach. Speaking of wars and defenses, the first think you’ll notice driving up to the Rodeo Beach Coastal Trail Loop is the World War II military post. 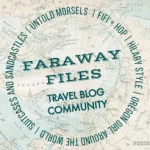 Just opposite the beach sits Fort Cronkhite, overlooking the Pacific Ocean. Made up of barracks and mess halls, it extends up the bluffs to Battery Townsley that pointed two 16-inch caliber guns out to sea. Find out more about this hike in my previous Rodeo Beach post. I didn’t stick to the entire loop, and instead wound through quite an overgrown path for a bit of an adventure. The best part of this hike is that you can take your bikes and dogs onto the trails and of course on a sunny day the glittering ocean is a huge draw card. If you’re going to see deer anywhere it’ll be in Edgewood Park, which is down the peninsula close to Redwood City. This is great if you’re living or staying south of the city proper. Apart from being home to local wild life like deer and vultures, it’s also known for its wildflowers during the spring. The park spans 467 acres, and there are lots of little out-and-back trails that you can do. 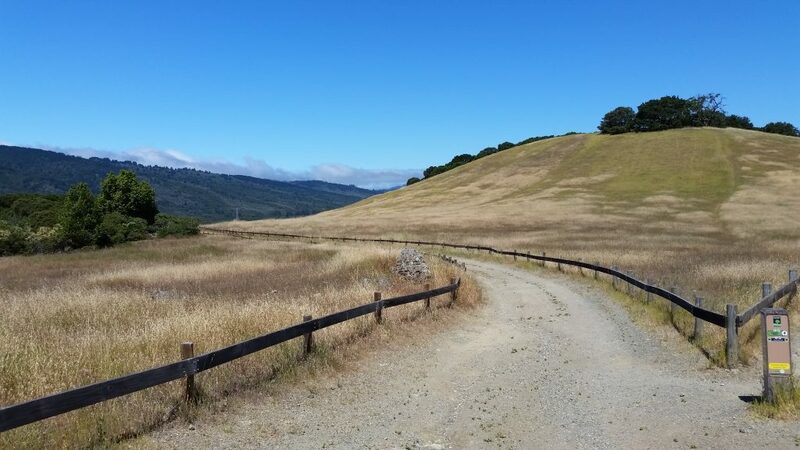 But we cobbled together all the trails that run around the preserve’s perimetre and ambled up and down wooded switchbacks into flat, open fields and got a glimpse of the whole park. The elevation grade isn’t too bad at all, plus it meanders a little so you don’t feel like you’re constantly climbing uphill, which is nice. I don’t know if we started further out than we should have or took a wrong turn somewhere (unlikely considering it was one pretty straight trail) but this hike was way longer than advertised. About three miles longer. Although that could be because we continued along the trail out to the beach below but didn’t quite make it down there. We started from the Bear Valley Visitor’s Center, and for some reason decided it was a better idea than driving further up to the Point Reyes Lighthouse hike. This was a long hike and I felt every step of it. There was only about 227 metres of elevation change but it was constant enough that you do feel it. Although you move through different terrains such as rainforest, groves of trees and eventually out to the coast where scraggly shrubs cling to rocks. This is where the path does narrow significantly and only single-file can fit through. The “arch” doesn’t exist anymore – it collapsed in March 2015 – but the beach below it and the views make up for that. You can read more and see all the pictures from this hike right here. This is so cool! Thanks for sharing – the level of details is just amazing! ? Beautiful pictures! Almost makes the hard work seem worth it? 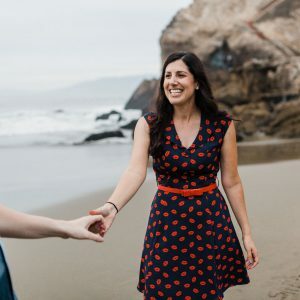 This is a fantastic article – I’d love to visit San Francisco, and I love walking, so I’ll definitely bookmark this! It’s really useful how much information you’ve provided on the difficulty and gradient of the walks – great job! San Fransisco looks so great! 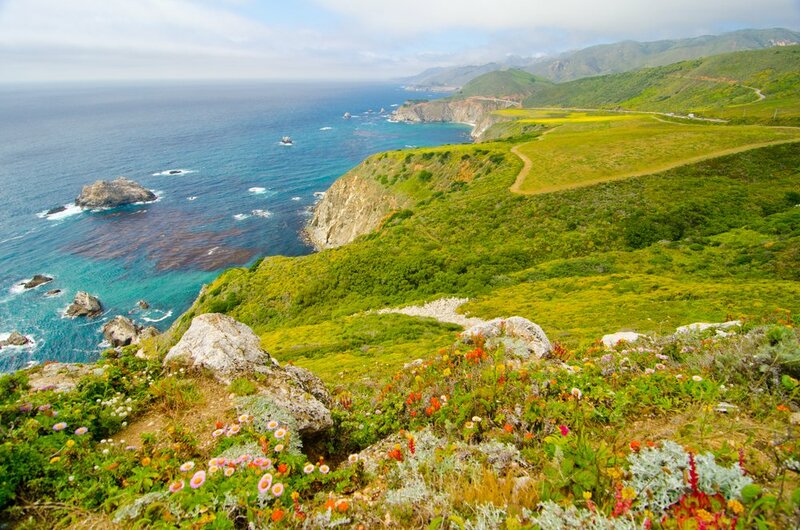 I’m really keen to do a road trip through California with some camping and hiking. Will definitely need to book mark this so I can find it again! Love it when there’s so much detail, helps me decide on the best day to go depending on my time. Definitely adding the RODEO BEACH COASTAL TRAIL LOOP next time I’m in the area to visit my sister. Thanks for the share! If I get a chance to go there, I will choose 2 trails to do: #1 Rodeo Beach Coastal Trail Loop, and #2 Edgewood Park & Nature Preserve. They just look wonderful. im not so much into hiking but with all your graphics and that you seem to be a master in this and I guess alot of other hiking lovers will appreciate this. Yayyyy!!! Recently moved to the Bay area and will be here for one year. 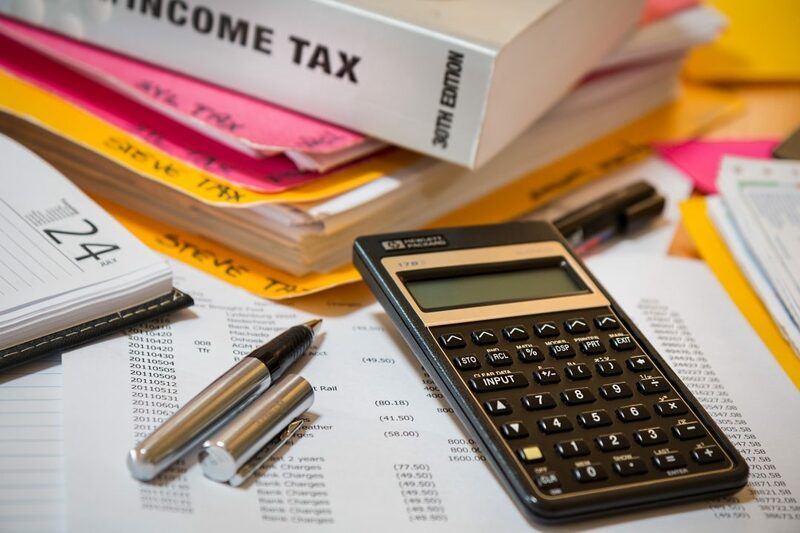 This article couldn’t be a more perfect fit for what the hubs and I want to get done before our time is up! Looking to hit all the trails we can, so thanks for the tips! There are some great hikes in the city as well, such as Mount Davidson and Sutro reserve. Check them out if you can! Saving this post for next time we go to SF! I’ve been there plenty of times, but never hiked there. Definitely on my list for next time. ❤️ these! Definitely saving this post for later since I live about an hour and a half away! I need more hiking spots! Great post! I’m totally saving this post! I grew up in the Bay Area and every time I go back, the only place people are willing to hike with me is Mission Peak. These trails look incredible! I have been to SF several times, but never to hike! Thank you for your detailed information about some pretty spectacular hikes that I never knew existed. 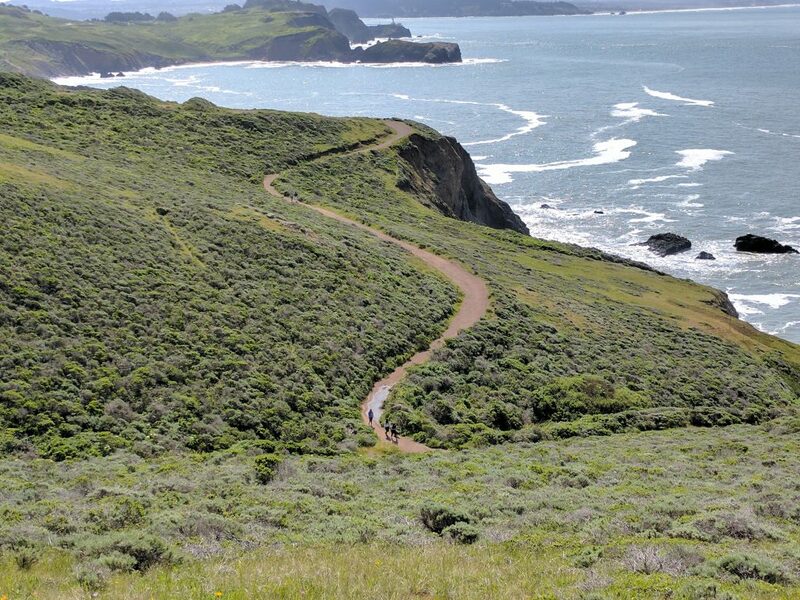 The Rodeo Beach Coastal Trail Loop is already calling my name. This is great. Always heard about the great hiking in SF and this details it so well. 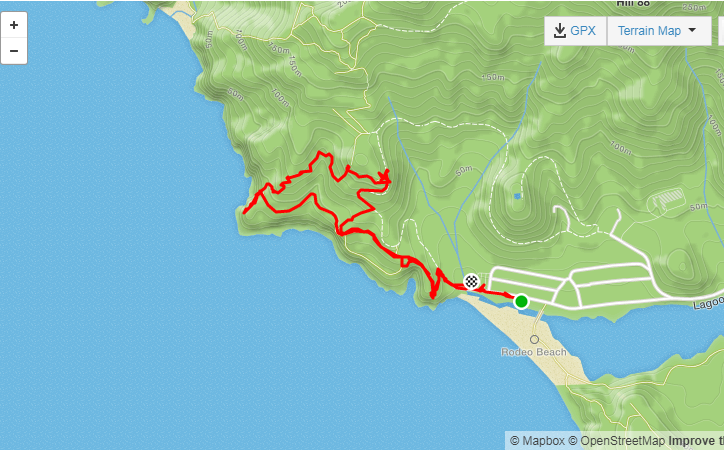 I’m most interested in the Rodeo Beach Trail. Will keep that in mind for my next SF trip! It comes in handy while i’m preparing to get to S.F. very soon! All these views are amazing! I’d like to try the Bear Valley hike for sure! Good timing, I’m looking to get to California in the spring, and I was already thinking about hikes! Thanks!